Tomorrow we leave for Alamogordo N Mex at Holloman AFB. 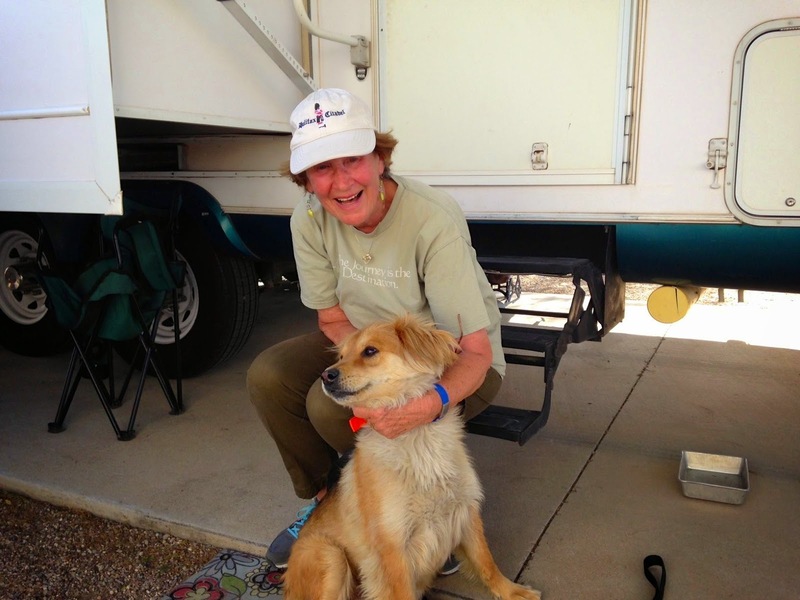 We sure have enjoyed our time here Agave Gulch Famcamp at Davis-Monthan.We have reconnected with friends, had many laughs, shared experiences and managed with the 90 degree heat. 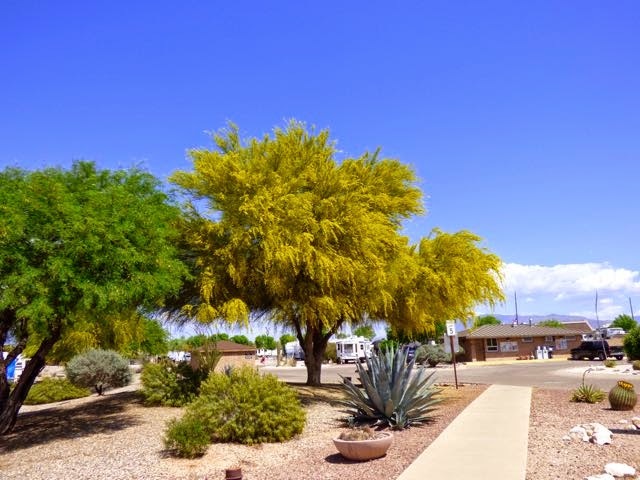 Took some more pictures of the Palo Verde Trees and some blooming cactus. 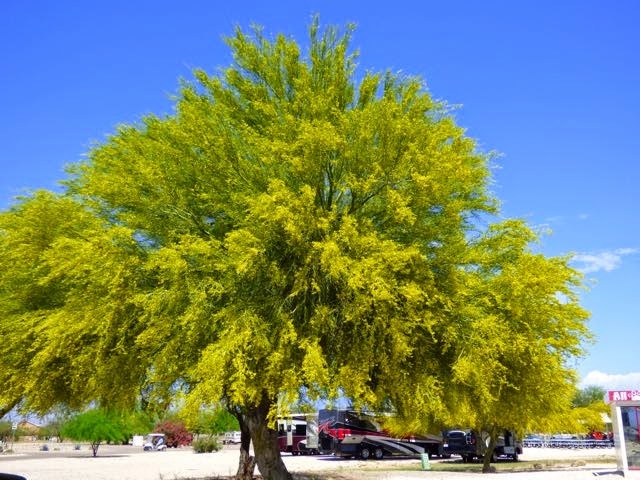 The Palo Verde trees are beautiful. 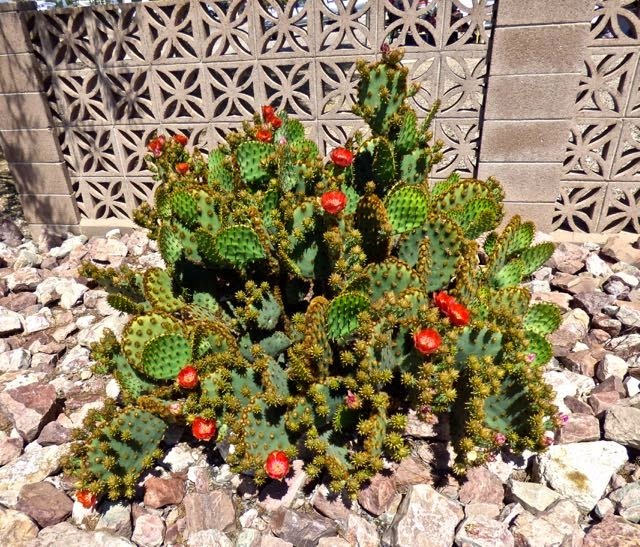 The Cactus are just starting to bloom. 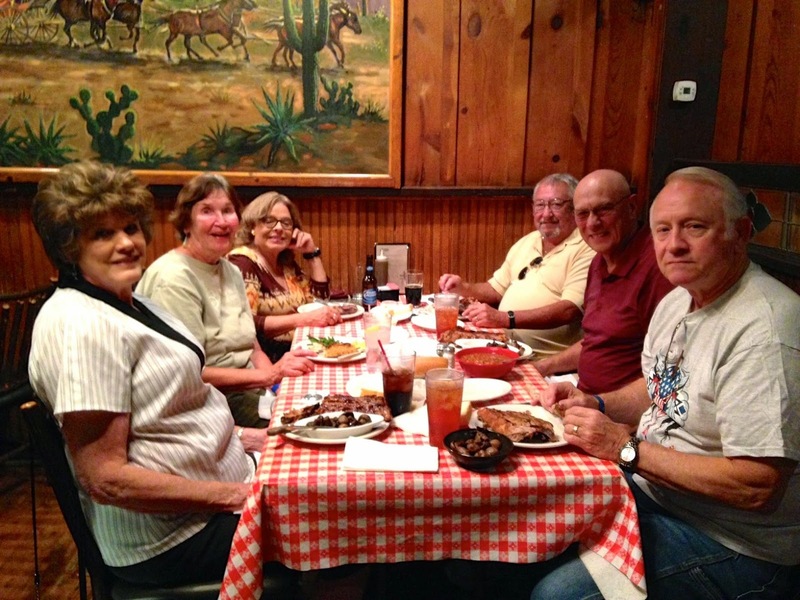 Tonight we are going to dinner at Pinnacle Peak Steakhouse located in a re-created western village off Tanque Verde. Connie,Ken,Loretta and Rocky will certainly give us a good send off with their stories and laughter. 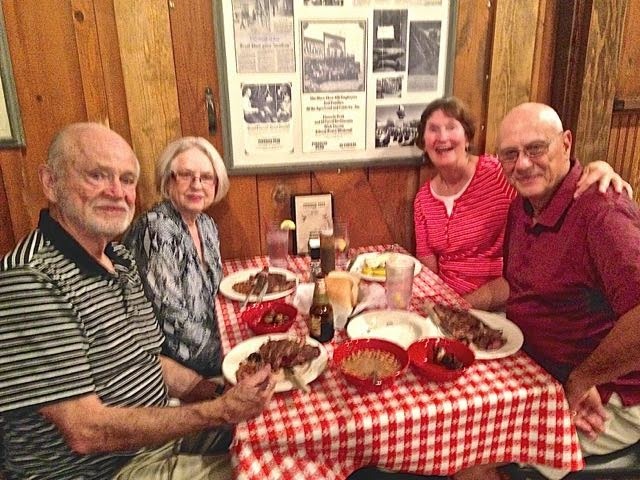 When Bob and Joyce came in on Sunday for just one night, they suggested we go there for dinner. We liked it so much we decided to go again tonight. If you wear a tie, they cut it off and hang it from the ceiling. Food is good with steaks being a featured entree. As we were leaving the restaurant, I looked up and saw a huge ring around the moon. Bob said this is a Moon Dog. Had never seen one before. It is made up of ice crystals. 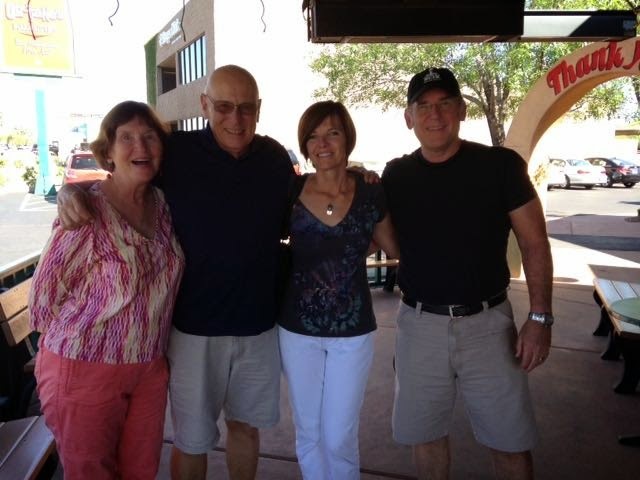 We also enjoy our lunch at Oregano's with Kerry's brother Kevin and his wife Dale last week. They are a nice couple and enjoyed talking with them. 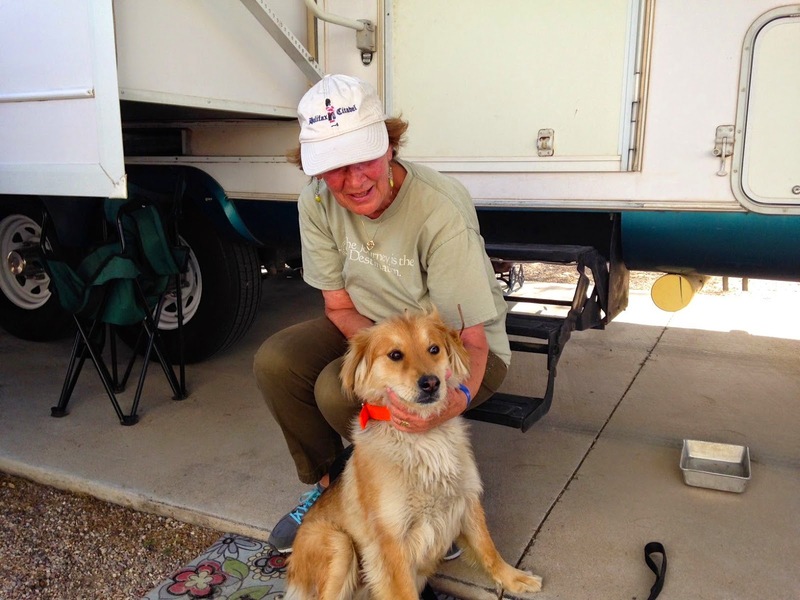 While we were here made friends with Maxwell, a cute dog that belongs to Keith who is active duty. His 5th wheel was invaded by bees and he finally located around 4 hives which he removed. Loaned him one of our mosquito suits. Supplied Maxwell with dog treats and made Keith cookies before we departed. We plan to return next year on our 2016 circle journey. 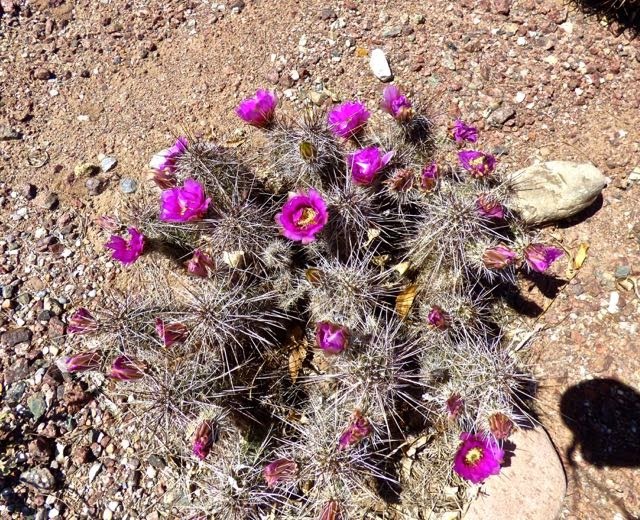 We really enjoyed seeing all the blooming cactus this year. Are you getting the "dog itch" ? We were 3 years without a dog when we caved and got Babe. Our camping lives would certainly be different if we didn't have them. Love them, but when they are gone we will not be getting another one til we are in the old folks home!